Sandi Rosenbloom is a Professor of Planning and director of the Drachman Institute at the University of Arizona in Tucson (rosenblo@u.arizona.edu). She delivered the Mel Webber lecture at UCTC ’s annual student research conference in 2003 at UCLA. 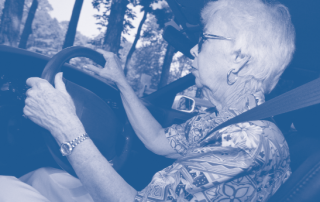 Older Drivers: Should We Test Them Off The Road? On July 16, 2003, a disoriented older person drove at high speed down a Santa Monica street closed for a farmer’s market. His car traveled almost three blocks, killing ten people and seriously injuring scores of others before coming to a stop. Editorials throughout the nation immediately demanded that all older drivers be subject to regular and rigorous retesting.